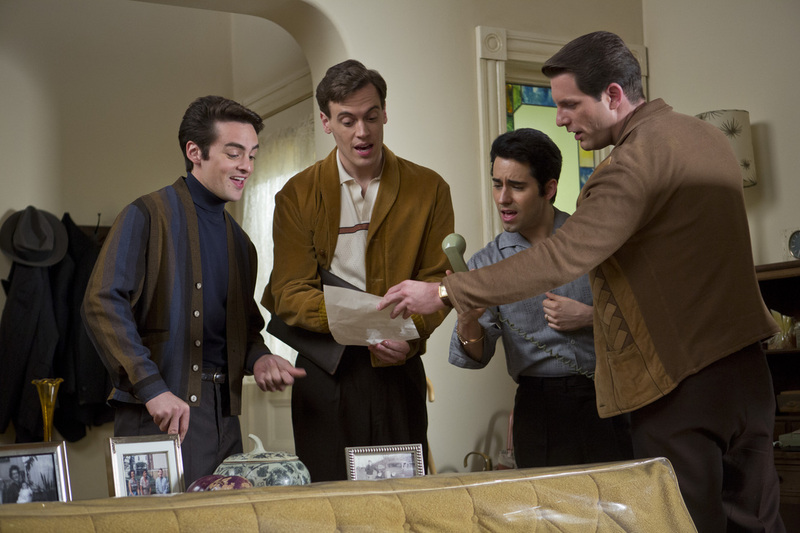 This article is a review of JERSEY BOYS. What was director Clint Eastwood thinking? That is three duds in a row from the inconsistently excellent filmmaker (see previously J. EDGAR and HEREAFTER). 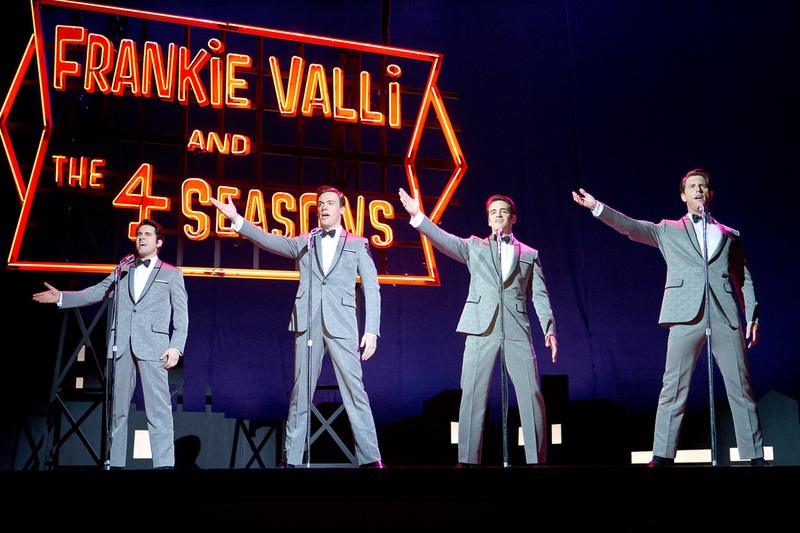 JERSEY BOYS is dead on arrival, a lifeless uber-bland musical. Where is the Clint of MYSTIC RIVER or LETTERS FROM IWO JIMA or CHANGELING? For two-and-a-quarter interminable hours, the theatrical musical adaptation had the feel of a song-infused daytime soap opera. Belleville, New Jersey, 1951, hustler Tommy DeVito (Vincent Plaza) walks into shot breaking the fourth wall, telling the audience there are three ways to get out of town: The army, joining the mob or becoming famous. 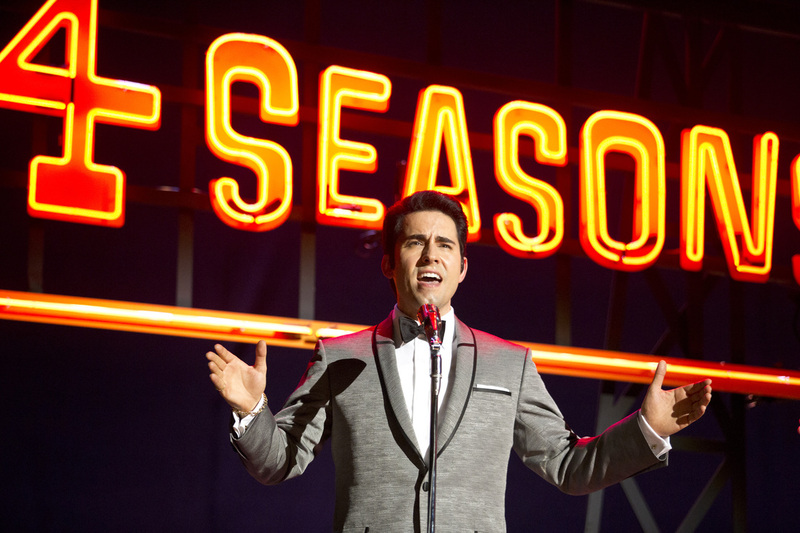 Entering a barbershop we meet the ostensible star, Frankie Valli (John Lloyd Young, epitomising the groan-some cardboard acting), as an apprentice regaling punters with his falsetto. Maybe the 1950s pop fan, starved of entertainment, lapped up that voice, but to modern ears it is as if a highly strung cat is having a meltdown. Telling us what we should discover for ourselves, everyone constantly reminds him of his gift. (See also Robert Altman’s irksome THE COMPANY for onscreen unjustified applause.) 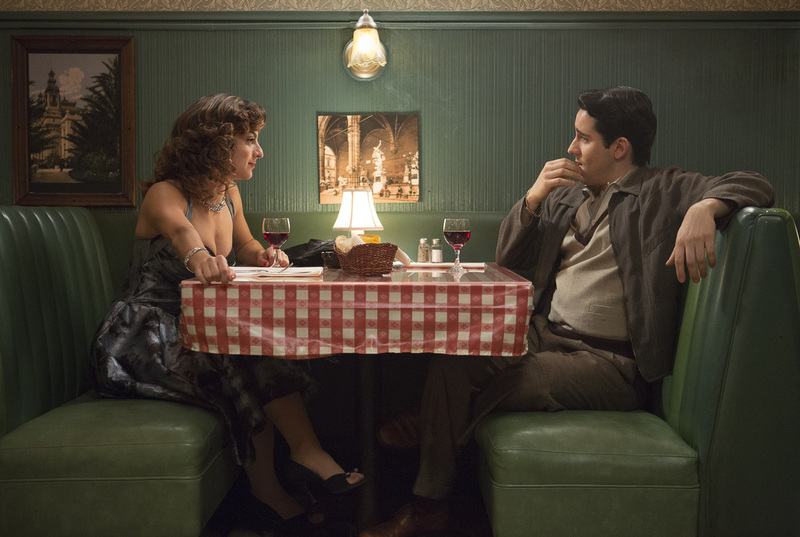 Also, John Lloyd Young is meant to be playing Valli at 16 – one is guessing he was about 37-years old when he shot this – though not as comedy as when you get to 1990 and the aging make-up. Have you seen J. EDGAR, where Leonardo DiCaprio, Armie Hammer and Naomi Watts look like victims of an industrial accident? Eastwood needs to seriously rethink his cosmetics department. 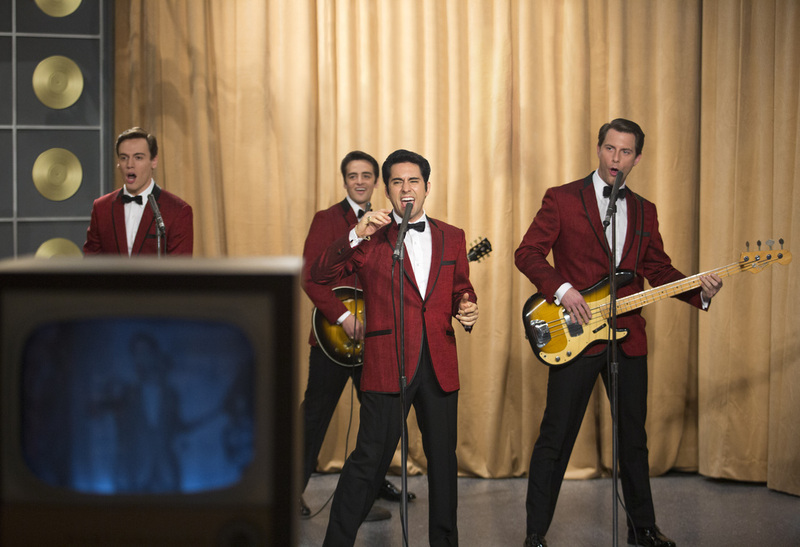 Often part of the predicted pleasure of a musical is a getting-the-band-together sequence – a similar trope can be found in the sports/action movie with the training montage – but JERSEY BOYS requires us to wade through scene after redundant scene, in establishing some sort of characterisation/motivation/emotional connection that never manifests. No matter the successes, of the eventual Four Seasons group, these personality-devoid automatons just whinge almost constantly. These ingrates are meant for us to care about them? Chuck in some saccharine domestic melodrama, seen a million times in the musician biopic playbook, and we are drowning in starchy syrup. Analysis as to what made this pop combo special is not even dwelt on. Narrating directly to the audience offers zero insight, a crutch in the place of satisfying storytelling. When it comes to manoeuvring his camera, Eastwood has never been a show-off; not a De Palma or a Spielberg, he quietly builds his films into something powerful. But – and a big but – a musical needs pizzazz. Artless performing, absent of eye-catching choreography, in flimsy-looking sets, sends blood pressure plummeting. Contrast the verve of Scorsese’s THE AVIATOR or Soderbergh’s BEHIND THE CANDELABRA. Tip: You can pass the time by playing spot THE SOPRANOS alumni.